Here at TSL, we have a long history of identifying programs and initiatives that benefit sustainability and green living. That’s why when we heard about Conservation Law Foundation’s Legal Services Food Hub, we thought it was the perfect chance to return to the spotlight. First things first, TSL did our due diligence by reaching out to Elena Mihaly, Legal Services Food Hub Coordinator, for the lowdown on the initiative. Elena was a bevy of knowledge on the Food Hub and sustainability in general, and we learned a lot – but for our readers’ sake, we’ll try and keep it brief. The Legal Services Food Hub, in simplest terms, is a legal services network that will provide pro bono services to lower income farmers, food entrepreneurs and food related organizations/groups (hereby known as the three f’s). Pretty brief right? Well there’s more…obviously. TSL didn’t make a comeback for just one sentence! Many of the three f’s operate on tight budgets, and a lawyer was often a luxury they couldn’t afford (or one that would “break the bank”). CLF saw what we can clearly see based on the above – the three f’s had an unmet legal need , and attorneys were willing to help out to meet that need.. Now all CLF had to do was organize the entire project. Easy, right? Needless to say, CLF worked out the logistics internally. The process is similar to a lawyer referral service: CLF recruits and pre-screens attorneys to be part of the volunteer network and runs an intake hotline for the three f’s. They vet the issues/cases they receive, check for income eligibility (since the program targets lower-income folks), and then place them with an attorney based on experience and area of expertise. Done. With that taken care of, CLF is ready to launch their pilot program –which they will do with a free kickoff and training session on June 23 at Nixon Peabody. At the kickoff, interested lawyers will get a crash course in some of the issues they’ll be dealing with when helping farmers, get pressing questions off their chests, and hear from Roger Noonan, a farmer and President of the New England Farmers Union. They’ll also get their hands on a hot off the presses legal guide chock full of common issues the three f’s encounter, created by CLF’s fellow foodie friends at Harvard Law School’s Food Law and Policy Clinic. ….we know you’ll be heading to 100 Summer Street on the 23rd. Make sure to register online so you get your share of the delicious (and yes, locally-sourced) breakfast. See you there. This past Saturday was a day of celebration for many in Boston. An estimated 2 million made the trek to downtown Boston for a day of revelry honoring the Red Sox 2013 championship win. 15 miles north of Boston, a special group of 11 volunteers from the BBA’s New Lawyers and Environmental Law Section were involved their own celebration of “youth, food , and community” at The Food Project (TFP) in Greater Lynn. Longtime readers will have heard of The Food Project before, but if you haven’t, TSL has you covered. The Food Project works with over 150 teenagers and thousands of volunteers to farm on 40 acres of land in different locations across Eastern Massachusetts. Food from the farms is distributed through community agriculture programs, farmers markets and local hunger relief organizations. TFP also offers and educational element and training and services, so youth and volunteers can learn more about farming, healthy eating and sustainable processes. Based on that description, it’s pretty clear why our lawyers decided to volunteer at the Food Project again. 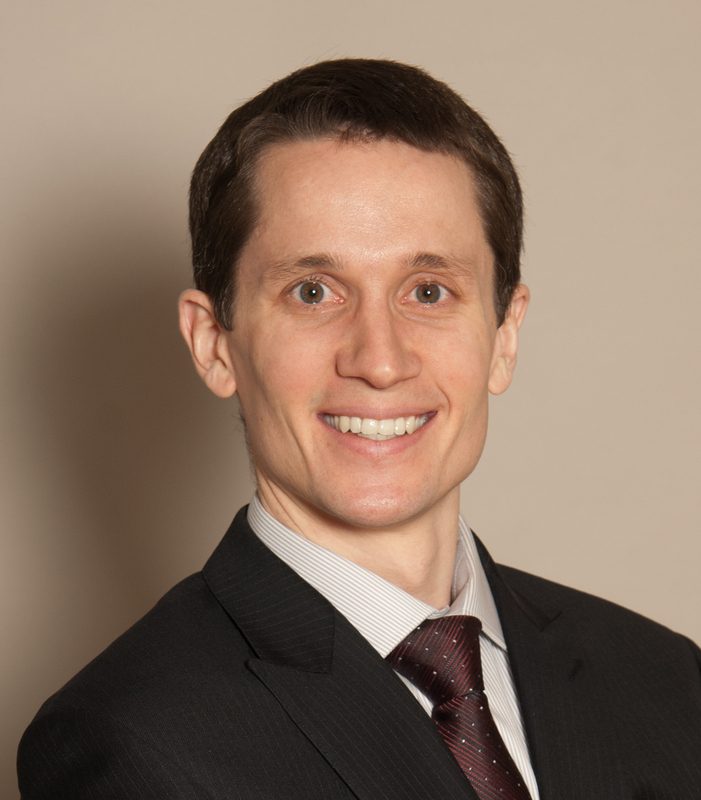 We reached out to one of Saturday’s volunteers Phelps Turner, of Sugarman, Rogers, Barshak & Cohen (who boasts a renown environmental law practice) to get a sense of his experience volunteering. 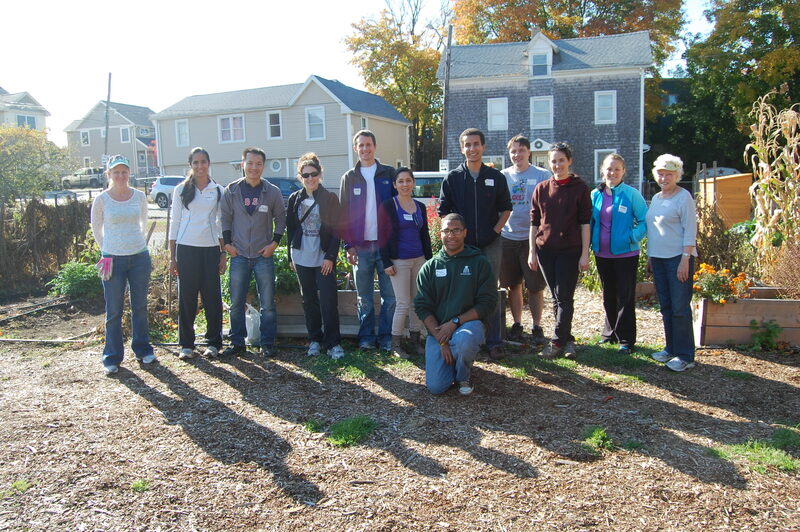 1) Why did you decide to volunteer for the food project serve and grow program? I jumped at this opportunity to volunteer with the Food Project’s Serve and Grow program because I’m very interested in urban agriculture as a means to increasing urban residents’ access to healthy, energy-efficient and affordable food. I was also excited to volunteer because I’m inspired by the Food Project’s mission of bringing urban and suburban youth and adults together to work on farms, to learn about the food we eat and to build a sustainable food system. 2) What did you enjoy most about the experience? We had beautiful weather for our morning of farming. I especially enjoyed transporting compost that had been produced on the farm and using it to create planting beds, in which we planted garlic for next season. I also enjoyed meeting and working with the local youth, who have developed excellent leadership skills, and seeing old friends and new faces among the BBA volunteers. 3) Did you learn anything new or interesting? This is my third time volunteering with the Food Project, and I learn new things about the Food Project and the food system every time. This time, I learned, among other things, that 25% of young adults are too obese to qualify for military service, and that the average fast food meal consists of over 1,600 calories, compared to 500 in the average homemade meal. Facts like these underline the importance of increasing access to healthy and affordable food in heavily populated urban settings, which can be achieved in part by growing the food locally, at farms like the one in Lynn. Thanks, Phelps – we couldn’t have said it better ourselves. Kudos to the 11 who spent their Saturday morning making an impact on the local community… and on parade day, no less. Our friends at Nixon Peabody are well known leaders when it comes to sustainability. TSL has talked about their innovative Legally Green initiative in past posts (here and here), so you already know plenty about that. As a quick refresher, the initiative includes three commitments, 1) implementing sustainable policies and practices throughout the firm, 2) serving as a sustainability “thought leader” in the communities they serve and 3) assisting clients to create long term value through sustainable business strategies. So it was no surprise to us when a representative at Nixon reached out to TSL about yet another sustainability effort, but with a twist…Nixon wasn’t going at this one alone. They helped create and organize the newly incorporated Law Firm Sustainability Network (think the Justice League for environmentally conscious law firms) which is committed to developing key performance indicators and best practice guidelines, fostering knowledge sharing, and promoting sustainability innovation in the U.S. legal sector. In addition to helping to spearhead the initiative, Nixon also serves on the Leadership Council and Board of Directors for the LFSN. That sounds great and all, but if you’re wondering what the LFSN actually DOES, fear not, we’ve got that covered too. We reached out to Carolyn Kaplan, Chief Sustainability Officer at Nixon, for a more in-depth look. The LFSN began informally in 2011, with a handful of firms, all focused on the nuts and bolts of sustainability, a desire for practical knowledge they could implement at their offices. So they started sharing case studies and informational webinars on key issues, such as dealing with large buildings, paper purchasing, and the like. Over the course of time, the informal network became more formal, and decided to incorporate in November of 2012. A global and collective effort? Really? As a matter of fact, yes. The LFSN has already officially partnered with global organizations like the Legal Sector Alliance UK and the Australian Legal Sector Alliance, furthering their goals to further raise awareness and reduce environmental impacts globally within the legal industry. Currently, they are working to finalize the American Legal Industry Sustainability Standards (ALISS), a self-assessment tool that comprehensively measures law firms’ implementation of practices that promote energy efficiency, conservation of energy and resources, recycling, commuting, and more. Firms can rate themselves and earn recognition for taking a leadership role. They have continued their webinar efforts, holding programs on enhancing market reputation and increasing business efficiencies. Learn more here. Now it’s your turn to get involved. Learn more about how to be a member here. There’s still plenty of time to make an impact. The Justice League (ahem, Law Firm Sustainability Network) hasn’t even cast the Green Lantern yet. 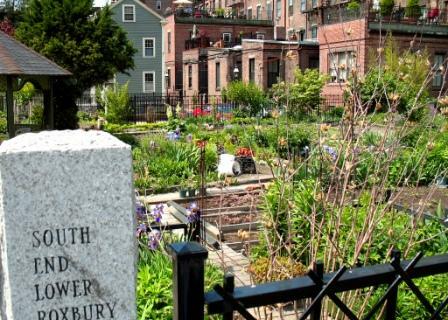 The Youth Program, where teenagers from Greater Boston and the North Shore cultivate farmland, participate in workshops, work with hunger relief organizations, and lead volunteers in the fields. 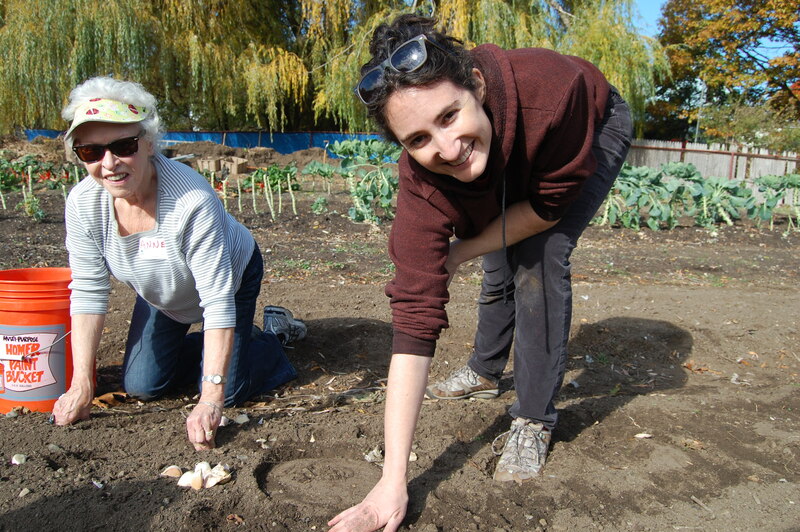 Serve & Grow Program, where volunteers help the Food Project achieve their mission by visiting our farms to help tend the fields planting, weeding, harvesting, washing vegetables, and preparing beds. 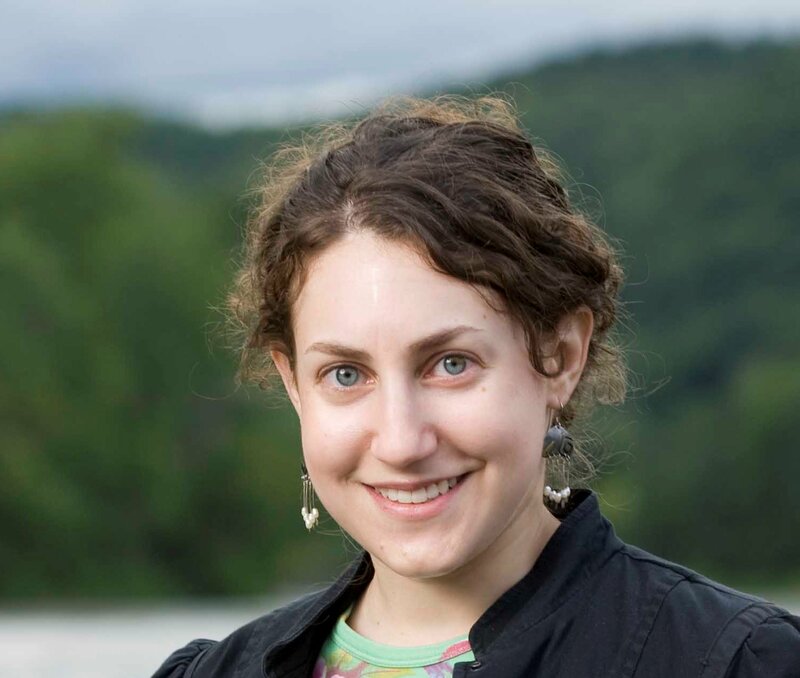 Naturally, after hearing about this volunteer experience, TSL wanted to know more, so we touched base with Staci Rubin of Alternatives for Community & Environment (ACE), who serves as Co-Chair of the Environmental Law Public Service Committee to learn more about the experience. 1) Why did you choose The Food Project as a volunteer opportunity? We chose to volunteer at the Food Project because we wanted to continue the BBA’s practice of supporting The Food Project’s work and exposing the legal community to a rewarding community service opportunity. One recommendation of the BBA’s Sustainability Task Force was that a group from the BBA volunteers annually at The Food Project. The Food Project manages 40 acres of farmland in Eastern Massachusetts (Beverly, Boston, Lincoln, and Lynn), primarily through the work of young people and volunteers. 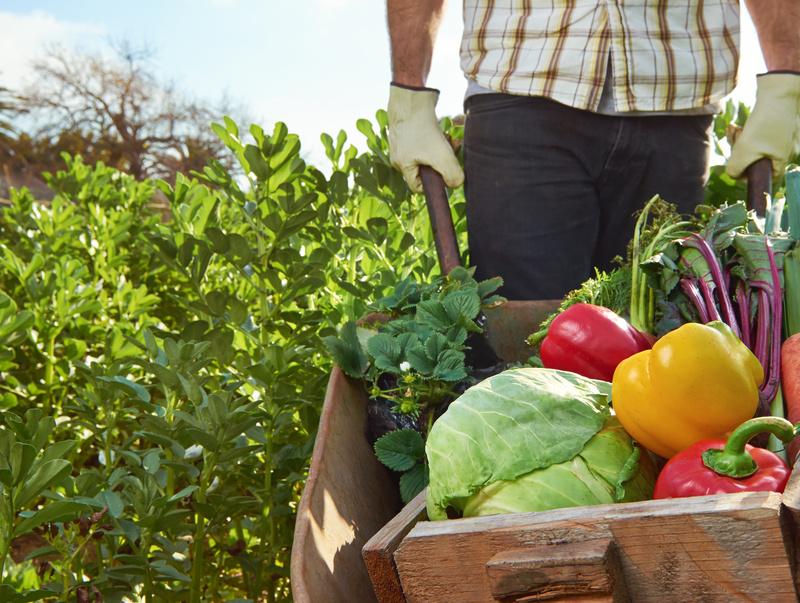 At the West Cottage farm in Dorchester, we had the opportunity to help maintain crops that will be sold to farmers’ markets and donated to hunger relief organizations. This event was a nice follow-up to the urban agriculture brown bag lunch on February 28 sponsored by our committee. 2) What was your experience like? We began the day learning about the food system: the process of getting food from the earth (through cultivation, production, transportation, distribution, and consumption) to people. The youth from The Food Project led us in a series of exercises to learn facts about the farm bill, worker conditions, and the average price growers get for producing a pound of food. We then divided into groups to focus on weeding and maintaining the pathways between beds. We spent three hours working the land, with plenty of time for water and food breaks. We then had a short closing conversation to reflect on the day. A highlight for me was meeting new people and engaging in good conversations while weeding the beet beds. The aroma from the nearby chives and hot sun provided the perfect setting for a morning on the urban farm. 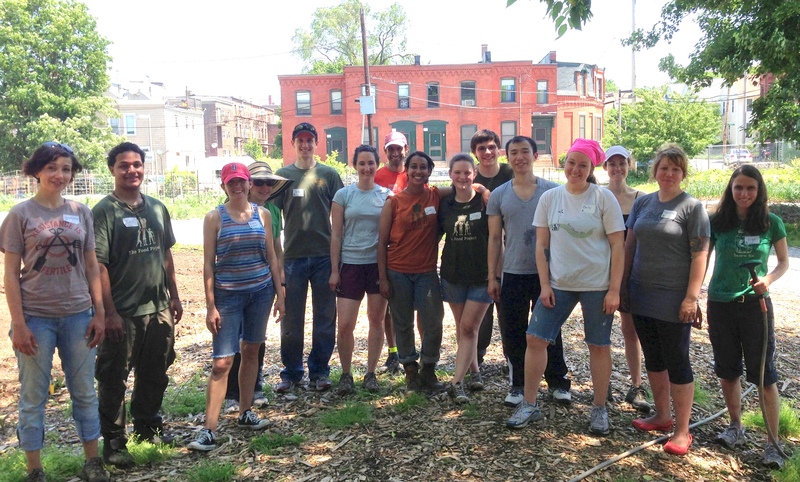 Kudos to our volunteers for their commitment to continuing the hard work of the BBA Sustainability Task Force and working with a community initiative that increases the accessibility of fresh produce to low income families. On a 91 degree day, no less. TSL is back in action again, this time to highlight a new corporate partnership between the BBA and one of the fastest growing sustainable organizations in the Greater Boston area. That’s right, we’re talking Hubway. So you’ve probably heard of Hubway at this point. If you haven’t, you must have seen the ports of bikes in Downtown Boston and spanning to Cambridge, Somerville and Brookline. For Hubway newbies, here’s a quick history lesson for you. In 2007, Mayor Menino and the Director of Boston Bicycle Programs Nicole Friedman began looking into bike sharing programs and got the Metropolitan Area Planning Council involved, figuring (rightly) that this effort would need to encompass more than just Boston. 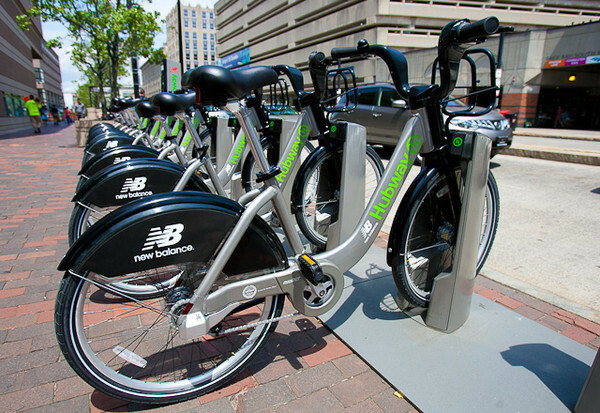 After doing copious research, they settled on Hubway (or Alta Bicycle Share if you want to get technical about it), who launched in 2011 with 600 bikes at 60 stations in Boston. One year later, after gauging Boston’s success, Cambridge, Somerville and Brookline added ports of their own. Fast forward to today– it’s popular. Like really, really popular. There are currently 108 stations with more than 1,000 bikes across Boston’s metro area, and no signs of slowing down. If that doesn’t impress you, this will: in less than two years, Hubway has logged more than 810,000 rides, including 130,000 since April 2 of this year. If you’ve read TSL before, you know that the BBA has taken multiple steps to be more sustainable, from building changes, participating in Grounds to Grow On (the K-Cup Recycling plan), undergoing an energy audit and even replacing all of its exit lights. This one’s a little bit different. Rather than making changes to the energy consumption of its building or day to day procedures, the BBA has given its employees the opportunity to be more sustainable on their own time – at significantly discounted rates. Thanks to a few particularly industrious BBA employees, who surveyed staff interest and wrote up a proposal, the BBA elected to participate in Hubway’s Silver Corporate Sponsorship –which provides staff with a convenient, economical and environmentally form of transportation, for just $25 bucks a year per person. The best part? Rides inside 30 minutes are free of charge with a membership. So unless you get lost on those cow paths, it should be smooth (and free) pedaling. If you’re worried about the safety of the BBA Staff, don’t be. In a few weeks, Boston will be rolling out Helmet Hub, a helmet sharing program (whose dispensers were invented by MIT), the first in the nation to do so. Did we mention the helmet dispensers were solar powered? Can’t beat that. See Hubway’s Corporate Sponsors here. Many of our loyal readers will fondly remember TSL’s first post: “Who Knew? The MA Trial Court has a Green Team – and It’s Saving Money.” Almost a full year later, TSL once again touched with Michal O’Loughlin to find out what green efforts are going on at the Massachusetts Trial Court, and as it turns out, the City of Boston. When we spoke with Michael he let us know about an E-waste program (that the Trial Court has participated in since 2008) run by the City of Boston is only weeks away on Saturday, September 29th. The event, which will be held from 9am to 3pm (rain or shine), at the Bayside Expo Parking Lot at 200 Mt Vernon St, Dorchester, MA. Here you can recycle computers, monitors, televisions, cell phones, microwaves and much more. For more information and a list of what is and is not accepted as e-waste, click here. In many instances, computers, laptops, telephones, cell phones, TV’s, inkjet printers and other gadgets can often be refurbished to working condition and given to non-profits or local schools. Everyday appliances are made from materials including plastic and precious metals such as gold and silver, tantalum, mercury, lead and more. Reusing these products rather than making more plastic or mining more metals can significantly impact the environment. According to E-Steward.com, electronics include lead, mercury, cadmium, arsenic, beryllium and brominated flame retardants. If improperly decommissioned, these materials can potentially cause serious health risks to both workers and their communities including cancer, reproductive disorders, endocrine disruption, and many other health problems. So for law firms and offices or anyone with old electronics lying around that they need to get rid of, save the date for September 29th to make sure you are disposing of your electronic waste properly. Take a hint from the Trial Court. Since participating in the City of Boston’s e-waste program in program 2009, the Court has collected more than 199,000 lbs. 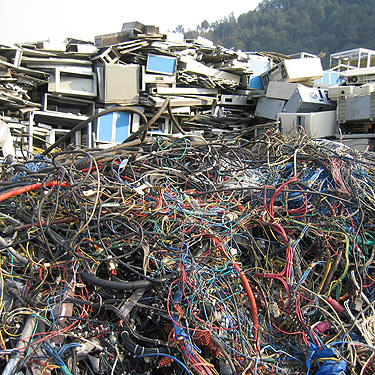 of e-waste, and saved more than $276,000 in disposal costs. Saving the environment while saving money? Sounds like a win-win. Stay tuned in the coming weeks for more on the Trial Court’s Green team.